I’ve always loved Vancouver. It was one of the first destinations I visited as a kid outside of my native Ontario. My parents packed us in a rental car and drove us from Edmonton Alberta (where I was born) all the way to British Columbia’s capital Victoria, on Vancouver Island. After my sister moved to Vancouver a few years ago I’ve had an enjoyable excuse to pause for a layover to catch up with her in YVR whenever I’m en route to the Pacific Islands, Asia or west coast USA. Canada’s vastness always astounds me and couldn’t help but share a smug mug while skipping through Vancouver on my recent visit. Folks in Vancouver are such a delight. The city is full of Lululemon yogi’s, craft brewers who hike mountains in their off hours, inspiring sushi restaurants that make even the snobbiest Japanese tourists lick their lips, one of my favourite farmers markets in all of Canada and a treasure trove of luxuries. It’s a city perfect for those who like to tackle it all when on holiday. Spend your morning strolling through moss adorned forests, skip through the afternoon on a sud-sloshed beer tour and in the eve giggle with glee via world class improv comedy revelry. Sunlight filters in through the floor-to-ceiling windows, warming the latte tones and golden hues around you. Basking in complete ease, you contemplate your day ahead from the cozy comfort of your room at Shangri-La Vancouver. Experience the legendary hospitality of the Shangri-La brand at this 119-room luxury hotel situated in the heart of downtown Vancouver. The luxurious hotel occupies the first 15 floors of the city’s tallest building, and features suites decorated in contemporary Asian style, many with views of the mountains and water. On my last visit to Vancouver I popped by “the Shang,” for a lovely lunch at the hotel’s signature restaurant Market by Jean-Georges. This time around I was delighted to tuck in at one of the city’s poshest pads. All accommodations are decorated in a contemporary yet luxurious style with distinct Asian touches. Warm tones reminiscent of freshly frothed cream are enriched by golden hues and offset by darker wood panelling and sleek B&B Italian furniture. Floor to ceiling windows provide ample natural light, especially in that jaw dropping white marbled lined bathroom. If you find yourself suffering from jet lag make sure to book a spa treatment immediately after check-in to ease yourself into that relaxed West Coast sensibility. CHI, The Spa at Shangri-La draws inspiration from the origins of Shangri-La legend, which describes a place of personal peace, enchantment and well-being. CHI, The Spa is a sanctuary where holistic treatments that are based on time-honoured methods shared by many Asian cultures are practiced. 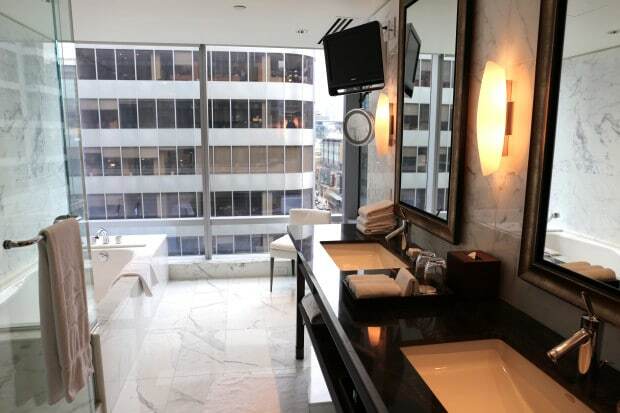 It made its North American debut at Shangri-La Hotel, Vancouver in 2009, offering a “spa within a spa” environment for guests looking to indulge in a bit of R&R. Each suite comes with its own fireplace, private bath, shower, relaxation lounge, change room and vanity. 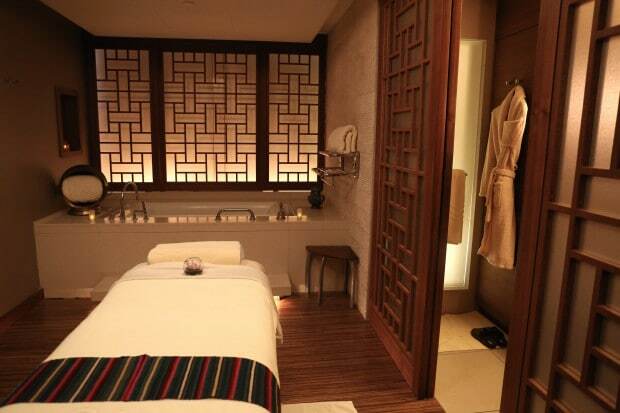 The CHI for Men menu offers a handful of treatments tailor-made for the modern man. I spent an hour indulging in the Executive Facial which uses a product line specifically formulated for male skin needs. Active ingredients such as Liquorice Root Extract help diminish signs of redness, irritation and stressed by shaving; Gingko Biloba aids in protecting the skin from environmental stressors; and avocado and macadamia nut oils help condition, leaving the skin silky smooth. 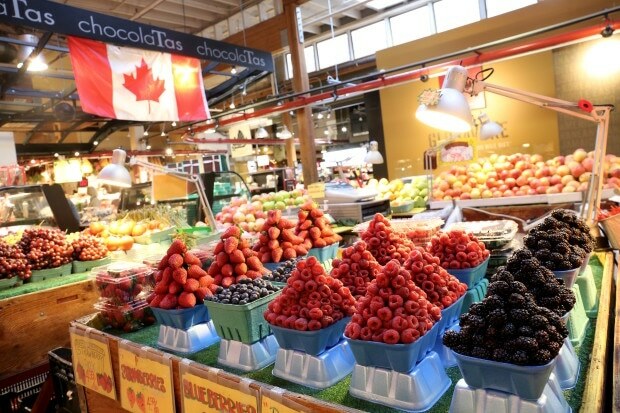 If Granville Island is the king of Vancouver destinations, then the Public Market is the jewel in the Island’s crown. The island was historically used by the city’s captains of industry (factories and saw mills). Today visitors can enjoy a stroll though the islands past by noting an absence of curbs and sidewalks, a response to the need for unobstructed passage for trucks, trolleys and forklifts. The city has embraced the old while celebrating the new, incorporating touches of the modern in one of Vancouver’s most historical hoods. The most photographed space on the island today is a colourful 21-metre outdoor mural, splashed across six Ocean Concrete silo’s by a duo of innovative Brazilian street artists, Os Gemeos, identical twin brothers from San Paolo. Step in to the Granville Island Public Market and you’ll find a fascinating assortment of colourful stalls, showcasing unique homemade products and the very finest gastronomic delights. All fresh from the ocean, the oven or the field. Celebrating over 30 years of all things fresh straight from the farm, Granville Island Public Market is the most established and oldest of its kind in Vancouver. I always insist that I stop at the market as soon as I zoom out of the airport. I first visited the market on my family road trip years ago and am still amazed how the experience has been imprinted into my memory. I gawked at pretty pastries, poked my finger at exotic Asian seafood and jaw dropped for the markets infamous berry pyramids, presented perfectly as if fruit could be an art of its own. 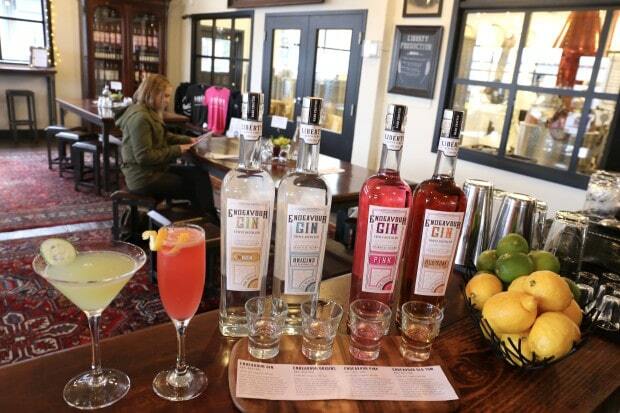 If you’re looking to quench your thirst in style pop by the Liberty Distillery to sip through a few craft cocktails. Liberty was first established in 2010 with a mission to ferment and distill on site using 100% BC organic grains. The artisanal distilling team create small batches while avoiding the use of neutral grain spirits, additives, preservatives, artificial flavours or GMO’s. When not in production, visitors are welcome onto the distillery floor where they can view Liberty’s beautiful copper stills, while a knowledgable guide explains the processes involved in mashing, fermenting and distilling. Feel the milled grain run through your fingers, nose the various stages of spirit production and enjoy a complimentary tasting at the conclusion of the tour. 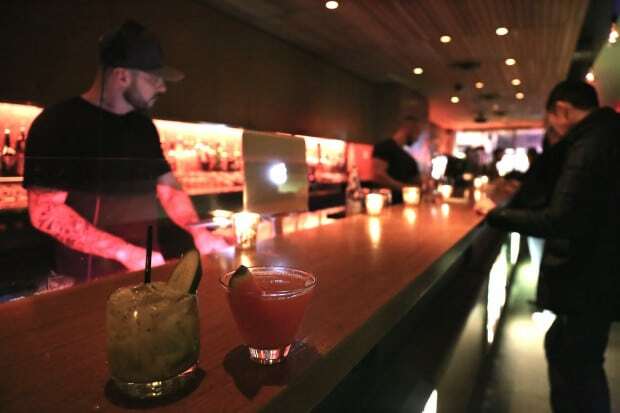 Finish your visit by relaxing on a locally built bar stool from BC reclaimed timber at the Tasting Lounge which features an impressive 110 year old saloon bar which was reassembled after being purchased from a historic hotel in Philadelphia. If you’re a gin connoisseur I’d suggest whetting your palate with their signature flight tasting or sip through thirst quenching The Encore (endeavour pink gin, raspberries, lavender bitters, lemon, simple, soda) or The Greenheart (endeavour gin, muddled cucumber, lemon, elderflower cordial). If you’re looking for a late night laugh head back to Granville Island for post dinner drinks and live comedic gold at Vancouver Theatre Sports. Founded in 1980, Vancouver TheatreSports League is Vancouver’s #1 improv comedy company and a well-respected international leader in the art form. Alumni include improv super-stars Colin Mochrie and Ryan Stiles from Whose Line Is It Anyway. 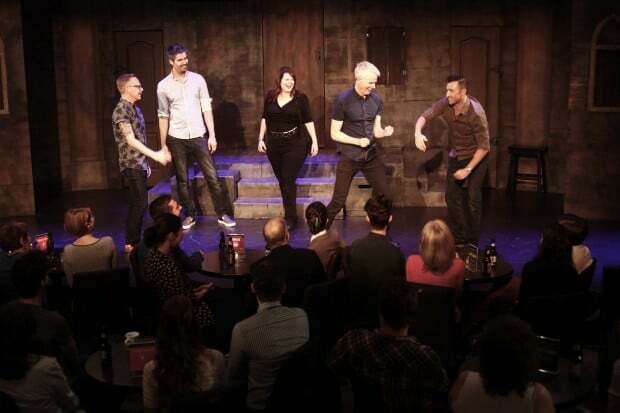 Boasting six International Improv Comedy Awards and having starred in several television specials, Vancouver TheatreSports League entertains more than 60,000 people per year! Upon arrival pop up to the Neil Macrae Bar to select a few bevy’s to sip through the show. West Coast favourites include Vancouver’s own Granville Island Brewery’s Honey Lager and One Tree Hard Cider from Spokane Washington. I arrived to the intimate theatre on a Wednesday night for “Off Leash,” when the ensemble ‘goes where no Improv actor has gone before’ to create daredevil performances of edgy, innovative comedy. What can you expect at Off Leash? Expect the unexpected with a lot of laughs. No two shows or formats are the same. The actors on stage are encouraged to run free with nothing to hold back their comedic creativity. Hot Tip: book the 7:30pm show and pay only $6 to enjoy the next show. Known colloquially as “Kits,” the Vancouver neighbourhood of Kitsilano is named after Squamish chief August Jack Khatsahlano. It is located on Vancouver’s West Side along the south shore of English Bay and in the summer is best known for its beach, popular with tan fans and those keen to dig their feet into the sand. One of the city’s most popular cafe’s is located a short stroll from the shore. 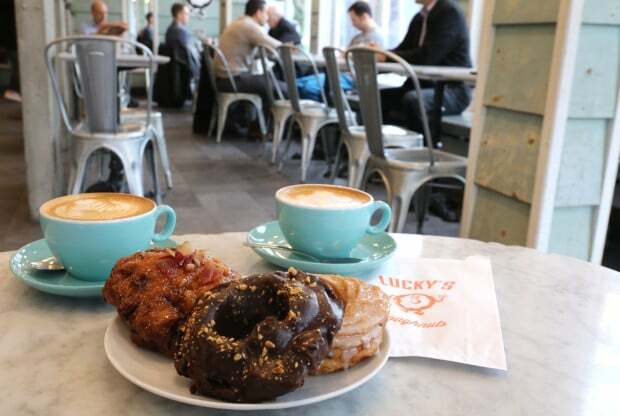 49th Parallel Coffee is a popular haunt for local java junkies where foamy latte’s and a selection of creative and quirky Lucky Doughnuts (highlights include apple bacon fritter, french crueller and chocolate hazelnut) offer a perfect pick me up. Ideally situated on a peninsula at the northwestern edge of downtown Vancouver, Stanley Park is one of the city’s top tourist destinations, attracting over 8 million visitors each year. Featuring lovely beaches, miles of well-maintained paved and dirt trails, Canada’s largest aquarium and jaw dropping rose garden, this 1,000 acre haven is recognized as one of the greatest urban parks in the world. As Vancouver’s first park, with its ever-blooming gardens, pristine coastal areas and roughly 500,000 cedar, fir and hemlock trees, Stanley Park has continued to live up to its “greenspace” designation for almost 130 years. Since Vancouver is well known for embracing the rain year round there’s no better way to see Stanley Park while keeping dry then by hopping on a Stanley Park Horse Drawn Tour. The one hour adventure allows guests to step aboard an old-fashioned horse-drawn carriage to enjoy a fully narrated tour of the park. 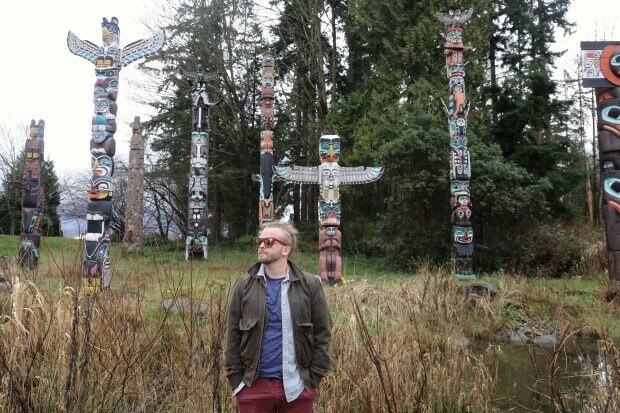 Highlights include Deadman’s Island, Vancouver Harbour, Lions Gate Bridge, Totem Poles, S.S. Empress Japan Figurehead and the Rose Garden. Thanks to the city’s change in liquor laws, a new crop of breweries are popping up in Mount Pleasant and the area is reclaiming its rightful name, Brewery Creek. Each year Vancouver has surpassed the previous record of craft brewery openings. By the end of 2016, if all anticipated openings go ahead as planned, there will be upwards of 130 breweries in British Columbia, proving once again that the West Coast is indeed the Best Coast. I strapped on a pair of comfy walking shoes and enjoyed a sud-sloshed self guided tour of Vancouver’s revitalized historical brewery district. 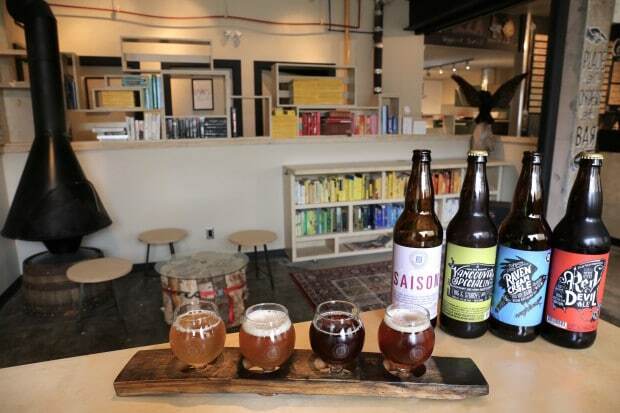 Plan your own adventure by taking note of my Top 5 Craft Breweries in Vancouver. 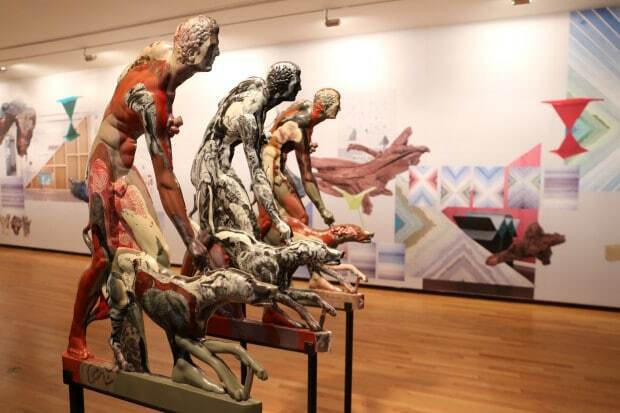 Housing a permanent collection of more than 10,000 artworks, the Vancouver Art Gallery continues to build on the collection’s historical and contemporary strengths through the acquisition of work by local and international artists. One of the collection’s principal strengths is the abundance of works by artists of this region, a strength that reflects the Gallery’s commitment to preserve and present works by British Columbia’s finest artists. The gallery is a great place to wander downtown on a rainy day. Find inspiration in jaw dropping Pacific landscapes and indigenous totems while skipping through the special exhibit of the moment. I was mesmerized by MashUp: The Birth of Modern Culture, an exhibit which took 3 years to produce via 30 curators who selected 371 artworks by 156 artists. Taking over all four floors of the Vancouver Art Gallery, the groundbreaking exhibition offers an international survey of mashup culture, documenting the emergence and evolution of a mode of creativity that has grown to become the dominant form of cultural production in the early 21st century. Highlights include Andy Warhol, Hito Steyerl, Keith Haring and Pablo Picasso. If you’re in the mood to gallery hop you can easily jump across the street to wander through the Bill Reid Gallery of Northwest Coastal Art. 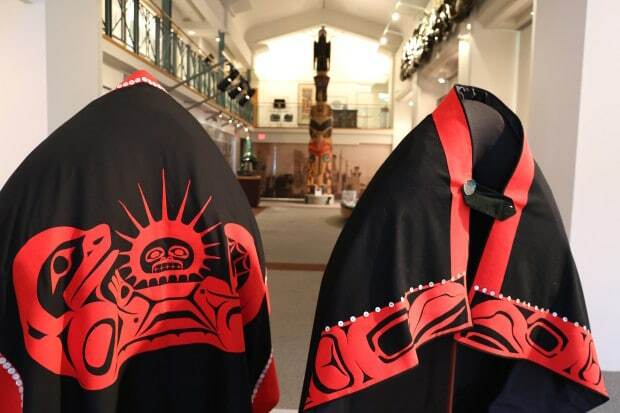 The museum is named after the acclaimed Haida artist Bill Reid (1920-1998) who was a master goldsmith, carver, sculptor, writer, broadcaster and spokesperson. Gallery Highlights include Reid’s gold and silver jewelry, monumental sculptures in bronze and stone, indigenous fashions and a full-scale totem pole. Step out of the busy city and into a relaxing urban oasis by journeying back to 15th century China. 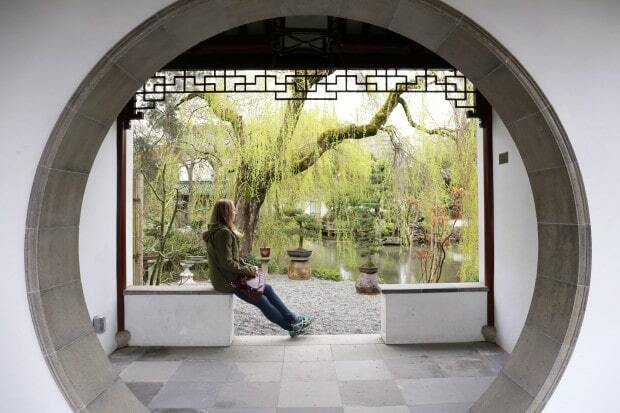 An inspiring stroll through Dr. Sun Yat Sen’s Classical Chinese Garden is a must when visiting Vancouver’s colourful China Town. The garden was originally built in 1985 using the time honoured principles and techniques of the original Ming dynasty garden. Fifty-two master craftsmen from Suzhou China worked with Canadian counterparts to complete the landscape masterpiece within a year. Ranked as the World’s Top City Garden by National Geographic, Vancouver’s most beloved garden features not to be missed highlights which include a formal reception hall, Main Courtyard reflecting Daoist philosophy of ying and yang and Jade Water Pavilion prettied with beautiful lattice-framed windows and two wooden screens with patterns of plums, orchids, bamboo and chrysanthemums. The Garden is characteristic of the private spaces within a Ming scholar’s residence. With its asymmetrical arrangement of rocks and plants, its winding paths and corridors, and the vistas that overlook its courtyards, the Garden emulates the rhythms of nature. Ming dynasty scholars, the elite of their time, lived and worked in their garden, sharing these enchanting spaces with friends and family of all ages. Like any home, a scholar’s garden was filled with energy, but also offered quiet moments for contemplation. Established the same year that Canada became a nation, Gastown grew into Canada’s third largest city and one of its most cosmopolitan. Today Vancouver’s Gastown district retains its historic charm, independent spirit and distinctiveness while offering visitors a slew of boutique shops and eateries worth skipping through. 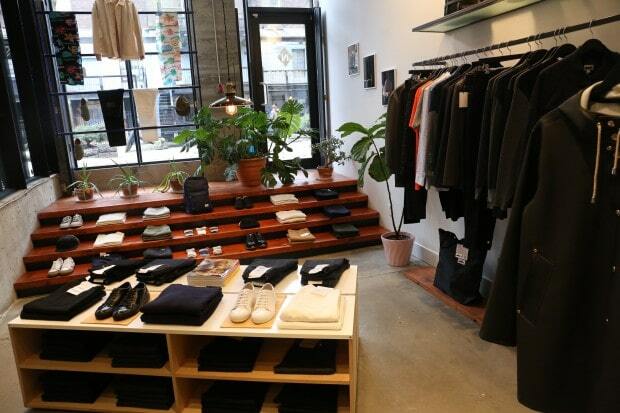 If you’re a handsome gent looking to refresh your style sensibility pop into Neighbour for lewks by Acne Studios, Comme des Garcons, Maison Balzac, Meo Fusciuni, Waka Waka and Y-3. Down the street at Litchfield you’ll find a curious shop which reflects founder Jonathan Litchfield’s family aesthetic for living. The shop’s revolving collection features pieces built with quality and craftsmanship. Highlights include Compartes Chocolate Bars, Adele Carbon Series Headphones, Aogami Folding Knife, Marshmallow Crossbow, Black Hasami Porcelain and a wild and wonderful collection of soaps, scents and stationary. Make your last stop at The Capilano Tea House and Botanical Soda Company, an Indigenous-owned and plant-inspired cafe. The mother-daughter team infuse the traditional local with the traditional global for a very Vancouver offering. Simultaneously fresh and ancient, their teas pair local foods like juniper berries and nettles with global favourites such as rooibos and green tea. Be sure to order their small-batch sodas mixed with florals and fruits: imagine lavender with ginger and rose petals with meyer lemon! Conveniently situated between Georgia and Alberni Streets in downtown Vancouver, The Urban Tea Merchant offers loose leaf connoisseurs an escape to their very own Nirvana. The Tea and Gourmet Bar offers a lovely presentation of macarons while the jaw dropping retail boutique boats a Loose Leaf Library, offering a selection of over 300 fine harvest and exclusive blends from TWG Tea from Singapore. Pop by the Tea Salon, with its elegant white linen tablecloths for an all day afternoon tea experience. We enjoyed the Pacific Route Tea Set, inspired by West Coast flavours. Served on beautiful glass platter, the spread includes OceanWise seafood such as the tea-infused miso and maple sablefish, butter poached prawn with “Orange Blossom Oolong” chutney. Sweets include an addictive apple dome infused with “Caramel Tea” and Lemon Meringue Tartlet while sips are yours to decide, from a list of over 300 luxurious leaves. Native Vancouverite Nancy Stibbard purchased Capilano Suspension Bridge Park in 1983 and spearheaded the attraction’s development and phenomenal success throguhout the past 30 years. The world-renowned bridge borrows its title from a First Nations name belonging to the Squamish Nation and was originally spelled Kia’palano, meaning “beautiful river”. Kia’palano was the name of a great Squamish chief who lived in this area in the early part of the 1800s. Over time “Kia’palano” was anglicized into “Capilano”: a word that has become the namesake of the bridge and park as well as the river and surrounding area. I last visited the Capilano Suspension Bridge on a Canadian West Coast road trip with my family when I was in Grade 8. I was impressed to see the park had significantly expanded, offering more outdoor fun than a simple stroll across the roaring river below. Originally built in 1889, Capilano Suspension Bridge stretches 450 feet across and 230 feet above Capilano River. Follow in the footsteps of the millions of visitors who have crossed the teetering bridge since 1889. Voices from Vancouver’s past mingle with the sounds of nature, beautiful gardens skirt time-worn British Columbia First Nations totem poles and Capilano Suspension Bridge takes you to the serenity of a West Coast rainforest. Guests, and squirrels, will enjoy an even higher perspective of the West Coast rainforest at Treetops Adventure, a series of seven suspension bridges attached to eight 30 ton, 250 year old Douglas-firs, has been raised 10 feet to take guests up to 110 feet above the forest floor. Built in 2004, the award winning Treetops Adventure was designed to accommodate the continuous growth of the trees. The viewing platforms are attached to an innovative tree collar system that is adjustable and moveable and has no nails or bolts penetrating into the Douglas-firs. It is unlike any canopy walk in the world. Over the past 10 years the trees have grown in circumference and it is time to loosen the collars and move them up. This means we will also be raising the platforms and bridges ten feet, creating an even more thrilling view. 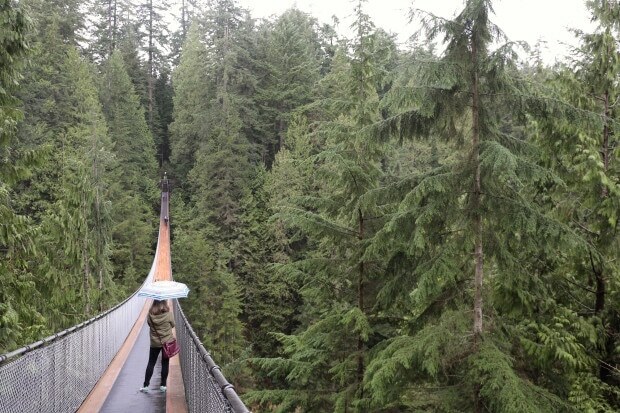 The Cliffwalk is the newest of the activities at Vancouver’s Capilano Suspension Bridge Park. Opened on June 3, 2011, this heart-stopping cliffside journey takes you through rainforest vegetation on a series of unobtrusive cantilevered and suspended walkways jutting out from the granite cliff face above Capilano River to previously unexplored areas of the park. Not for the faint of heart, it is high and narrow and, in some sections, glass (very strong glass) is all that separates guests from the canyon far below. Vino fans visiting Vancouver who can’t find the time to adventure outside of the city for a rural wine country romp should beeline it to the Vancouver Urban Winery. Vancouver’s boutique urban winery produces an exclusive 700 cases of wine per year under the Vancouver Urban Winery brand. 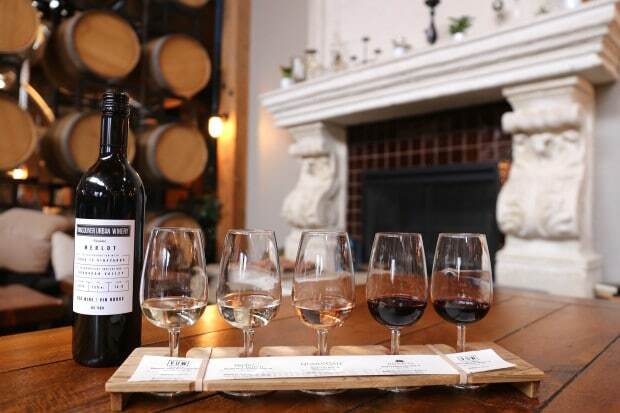 The tasting room boasts 36 wine taps where you can taste in house blends as well as a selection of top notch wines produced by other wineries all over British Columbia. Plop yourself down on a cozy couch across from a vintage fireplace and sip through one of the sommelier’s favourite flights. Highlights from my slow sipping soiree include Vancouver Urban Winery’s Pinot Gris, Blasted Church Hatfield’s Fuse, Quail’s Gate Rose and Road 13 Honest John’s Red. As one of Canada’s most cosmopolitan city’s it’s no wonder that Vancouver is known around the world for its vibrant and friendly gaybourhood. I’ll never forget attending my first Pride Parade in Vancouver way back in 2005, mesmerized by the city’s joyous support for the rainbow flag and its followers. Jennifer Mickey owns two of the city’s trendiest queer spaces and was giggling with glee (after downing a few cocktails that packed a serious punch) while adventuring through the duo. Posh meets petite 1181 is rammed on the weekend with locals who rave for the lounge’s intimate vibe and craft cocktails. Pucker up after ordering the vodka muddled Let’s Have a Kiwi and Lu Lu Melon. Hop over the rainbow adorned crosswalk on Davie Street and you’ll find the entrance to XY at the top of black carpet wrapped staircase. The multipurpose space includes a lounge area, two patios, DJ booth duo and stage as well as premium VIP booths. Quench your thirst between dance-tastic moments via cilantro infused el jimador tequila spiked Cocky Cucumber.